Host country Costa Rica is looking to rock at this year’s World Surfing Games. To do so, they’ll have to beat a 40-country field, including a dominant Australian team. THE INTERNATIONAL SURFING ASSOCIATION (ISA) World Surfing Games will be held this year in Playa Hermosa, Costa Rica from August 1st to 8th. The 2009 Games will be the 8th edition of the tournament and the first to ever be held in Central America. 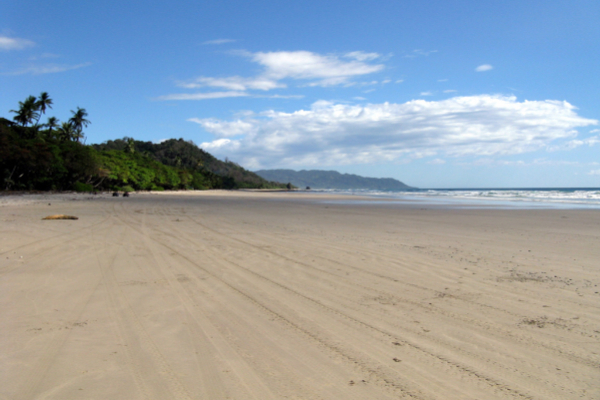 Playa Hermosa is a heavy, hollow beach break located a few miles south of the city of Jaco on the Pacific coast. The main peak, where the contest will be held, is widely considered one of the best waves in the country. It should be firing throughout the event with August being one of the top months of the year for south swells. The ISA is expecting somewhere around 40 countries to be represented. Australia is clearly the team to beat, having won the gold medal the last three events, and four of the eight events in the history of the Games since 1996. This year, the Costa Rican team is looking to finish strong on its home turf. The US, Brazil, and South Africa, the only other countries besides Australia to win gold in the Team competition, all did so while hosting the tournament. The Costa Ricans also achieved their first ever Top 10 finish in international competition in the 2006 Games, placing a respectable 8th. The atmosphere across Costa Rica’s surfing community right now is one of anticipation and pride. Jose Urena, President of the Costa Rican Surf Federation (FSC), attributes the opportunity to host the games to the fact that the FSC has been one of the few countries to attend all the ISA commitments with a full team and staff. “It is the best thing that could happen to a country concerning surf,” Urena said. For those in the area, the event will definitely mean an unusually crowded beach. But one of the best things about Hermosa is the stretch of excellent beach breaks to the south, called “Tulins.” which stretch all the way down to Boca Tusurbes. Additionally, anyone considering making the trek might consider picking up a copy of The Surfer’s Guide to Costa Rica & SW Nicaragua for additional information on nearby breaks. For those who won’t be able to hop a plane south, event sponsor Billabong will be offering a free live webcast during the event. The webcast, which will reportedly reach an audience of 80 million people across the globe, and will be available at www.billabong.com. Planning to hit up Playa Hermosa? Check out our article How to Paddle Out to a Famous or Localized Surf Break and Get Respect.